Jani Krulc has an MA in English Literature and Creative Writing from Concordia University and a BA (Hons) in English from the University of Calgary. She lives with her partner and their animals in Calgary, where she writes and edits professionally. The Jesus Year is her first book. How did your first book or chapbook change your life? How does your most recent work compare to your previous? How does it feel different? The book has made this – I mean writing – feel official. How did you come to fiction first, as opposed to, say, poetry or non-fiction? I think in narrative – all my ideas appear in story form. Poets fascinate me, how they can avoid or explode narrative and play with language. I tend to lie too much for non-fiction. How long does it take to start any particular writing project? Does it initially come quickly, or is it a slow process? Do first drafts appear looking close to their final shape, or does your work come out of copious notes? I write and rewrite many times until I feel I have a caught a part of the narrative. Then I usually realize I’m wrong and I have to rewrite until the story takes the shape it wants to. I began some of the stories in The Jesus Year four years ago. They look nothing like the stories in the book. Maybe the setting or a name or a singular event has survived. There’s one exception – the story just came and then it resisted my rewriting it. When does a story usually begin for you? Are you an author of short pieces that end up combining into a larger project, or are you working on a “book” from the very beginning? Anything can ignite a story - a stranger's gesture on the train, a disaster on the news, my current fashion obsessions. But my stories usually start from something concrete in the world that I can't shake off, that keeps returning to me. For my next short story project, I plan to apply some organizing pressure. It took a while for The Jesus Year to come together as a book. But I never know until I start to write. Are public readings part or counter to your creative process? Are you the sort of writer who enjoys doing readings? I read my work out loud all the time – it’s part of my writing/re-writing process. Eventually I imagine reading to an audience and I ask myself – does this sound terrible? I’m always interested to see how an audience reacts, or what it finds funny, or doesn’t. I’m usually surprised. I am a feminist, and this position informs my writing. Is it perceptible in my writing? I’m not sure. I am interested in exploring my characters and their lives as fully as possible, and revealing the messy bits, the rot, as it were, that lies beneath. 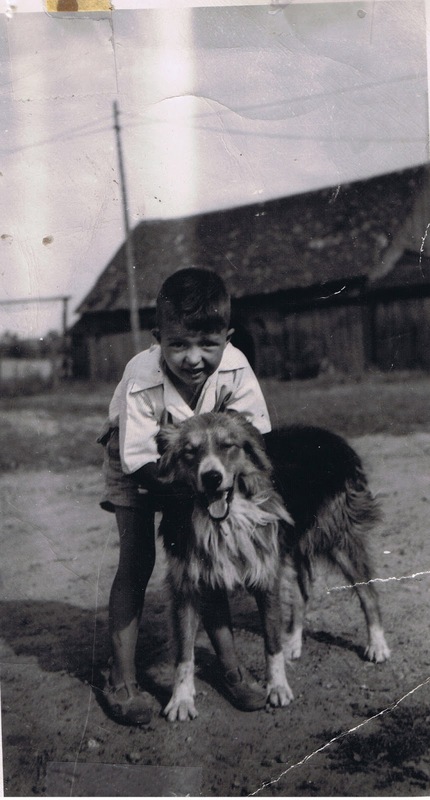 In the past, I’ve found writing towards theory has swayed my stories, or clouded the direction of my narrative. What I'm mostly interested in is motivation – why do people do what do they? One possible role of the fiction writer is to pay attention, to hone in on the particular and to rearticulate the “universal.” It is also to offer a story that requires compassion from the reader, and a reexamination of the reader’s subject position. And to break the reader’s heart, if possible. Do you find the process of working with an outside editor difficult or essential or both? A good editor will highlight what you are taking for granted, and tell you when you can stop refining small details. At some point in the process, editing just makes the story different, not better. A good editor knows when that point is. So, yes, working with an editor is essential, and I’m very happy that Jon Paul Fiorentino was mine. He talked me down a couple times. What is the best piece of advice you’ve heard? Kill your babies. Or is it darlings? Either way, if I’m particularly attached to something in the story – a line, a scene, even a character – it’s usually the first thing that needs to go. What kind of writing routine do you tend to keep? How does a typical day for you begin? When I'm in the thick of it, I have to write every day. Because I work full time, I also have to fit my writing around my work day, so I usually write at night. I practice yoga most mornings, or I’d write then. I finished writing the book while I was in India. I would practice yoga for a couple hours in the morning and then write throughout the day; it was pretty ideal. What other writers or writings are important for your work? The writing community in Calgary is important to both my work and my life – I think it’s essential for writers to congregate and support each other, to commiserate and lament. Also, they’re fun people to hang out with. Reading short stories is very important as well –that’s another good piece of advice I’ve heard: read what you want to write (and if you want to write short stories, then…). I adore Mavis Gallant and Alice Munro, of course, and Sarah Selecky, Lydia Davis, Miranda July, Caroline Adderson, and so many other writers - I go back to short stories over and over to try to figure out how a story works, and to figure out why mine isn’t if I’m having problems. And also because it’s joyous to read short stories. It makes life better. If you could pick any other occupation to attempt, what would it be? An actor. What a terrifying job. More likely, a lawyer. What made you write, as opposed to doing something else. I think writing is a compulsion, something I have to do. There are few other reasons, maybe no other reason, to do it. Drunk Mom by Jowita Bydlowska. The book is engrossing and terrifying; it asks for a reader’s understanding but never for pity. I’ll say Breaking Bad, even though it’s not a film. I had to take a break from the show, though, because I was becoming melancholic and somewhat paranoid. I write the same scene over and over again until something shifts and breaks open and I can enter the story again. If that doesn’t work, I usually read a story, or I go for a walk, or I practice yoga. I try to shake myself up. The foothills where I grew up have a particular nippy, fresh smell in the Spring, like melting ice cubes infused with grass and lilac. Also, my mom is Greek and an excellent cook, so food: garlic, roasting meat (which I don’t eat anymore, much to her chagrin); fresh tomatoes with olive oil, that sort of thing. That’s home. I tend to become obsessed with random activities, like finding rental properties on kijiji, researching the best vegan restaurants in cities I want to visit, or imagining the interiors of other people’s homes. These obsessions inform my writing, or sneak in and take over the narrative. I used to play classical piano, and I think my musical background influences the cadence of my prose. My yoga practice also informs my writing. I treat my writing as a practice, and I try to detach from the results, good or bad. It’s all just play in the end. 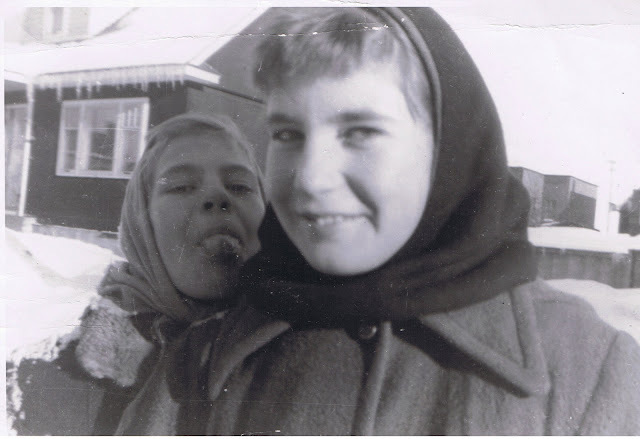 I presume you’ve been properly checking out the above/ground press, Chaudiere Books, ottawa poetry newsletter and dusie blogs for their various updates? I don’t always have space to tell you everything here (I mean, really). But watch for an upcoming reading by Jessica Smith, Amanda Earl and Marilyn Irwin on July 13 as part of The Factory Reading Series, and another collaborative reading by myself and Christine McNair (our second annual, after last year’s appearance at The Dusty Owl Reading Series) at the In/Words Reading Series on July 31st. Philadelphia PA: Some of the most attractive chapbooks I’ve seen out of the United States have to be Brian Teare’s Albion Books, the most recent of which, the first volume of the fifth series, is a double-binding, including Rachel Moritz’ “ELEMENTARY RITUALS” alongside Juliet Patterson’s “DIRGE.” There doesn’t seem to be any obvious reason why these two texts are paired, perhaps the authors are collaborators or close friends, writing poems in tandem? Or simply the editor/publisher has joined the two. The first bridges were probably made by nature—something as simple as a log fallen across a stream. Through the window you think of these words standing in the blunt arms of morning: stage, landing, gangway. light, his frame stood empty. Kudzu trailing the base foundation. Further titles forthcoming in the fifth series include works by Frank Sherlock (5.2), Jean Valentine (5.3) and CA Conrad (5.4). The sequence of pieces that make up the untitled poems of CHORTLING AMERICAN SHOW GOO: thirty three poems feel akin to the poems of American poet Kate Greenstreet for their fragmented structure and collage-aspect that accumulate into something larger, yet difficult to articulate, as the form itself is less static than constantly shifting. As Nic Coivert writes in his review of the collection (included inside the back of the chapbook) from Canadian Poetry Previews Magazine, “These poems are like smashed dreams.” Bradley’s poems also have a dark edge of surrealism, perhaps one more abstract and less of the obvious humour than others in the informal “Toronto surrealists” group, whether Lillian Necakov, Stuart Ross or Gary Barwin. In some of the pieces, there’s something of the single line-breath, as though they’re meant to be read quickly, without break. will climb the pyramid & leap off it. A tiny black bean. It’s not necessary. 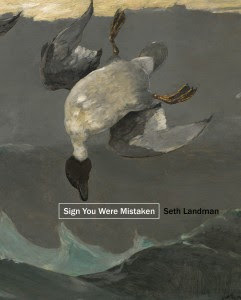 Bookending the collection are two longer poems, each composed with short phrases that complete a single, fragmented, seemingly-endless and confused sentence, endlessly continuing. Throughout the poems here, is Rohrer attempting to shock, startle or confound? These poems require a shift in perception and perspective, one that playfully pokes at expectation and collision. 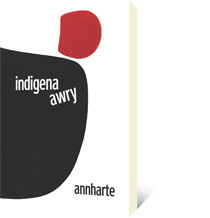 My review of Marie Annharte Baker's Indigena Awry (New Star Books, 2013) is now online at Vallum magazine. 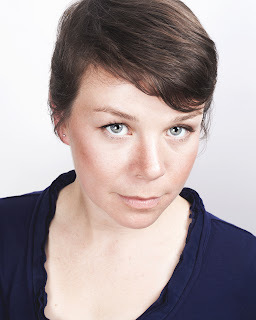 My profile of Toronto (formerly Ottawa) poet Suzannah Showler [photo credit: Stephanie Coffey] (with a few questions) is now online at Open Book: Toronto. [jwcurry and Michael e. Casteels] See my previous post on this past spring’s ottawa small press book fair, here. The primates spot-checked their harpsichords, spoon-fed the plesiosaur, and garrisoned the tax collectors. It was ravenous, living inside a sarcophagus where steam engines glaciated into place, where imperial moths televised the impasse: the rickety mammoth confronting the equatorial scarecrow. The sabre-toothed polarity of the breeze exempted each Neanderthal. The price war syncopated, the stellular vistas fallowed. Symphonies climaxed, entire marching bands faced extinction. Then, the great scraping—all the numbness of an ice cube, erasing the pyramids and the harpoonists, the lily pads, the approaching storm. The poems in are tight, surreal pieces that show an obvious influence from Stuart Ross and Gary Barwin (both of whom are thanked at the back of the collection), and I’m very taken with what Casteels is doing with the sentence and the shape of the prose poem; there are some amazing things at play through these small pieces, from “Trimming the King’s Beard” to “Just Like Grandma Used to Bake” and “The Incredible Hulk Goes Bowling.” One can see the influences of Barwin and Ross through the titles themselves, from the humour and odd-surrealism, but there is something about how the surreal aspects in Casteel’s work is more subdued and subtle, not allowing it to overtake or distract, but as a soft, through-line. His other recent work from the same press is cemantics: minimalist & concrete poetry (Puddles of Sky Press, November 2012), a chapbook that is exactly what it describes, including explorations of the short poem, some of which are entirely Nelson Ball-like in their brevity, including one titled “Rain.” Is this another Stuart Ross influence at play? and it is full of holes. Ottawa ON: Always worth paying attention to is the In/Words Magazine and Press table [see my recent piece on In/Words at Open Book: Ontario here], from recent issues of their journal, recent broadsheets they hand out (which echo the above/ground press “poem” broadsides) and their chapbook series. Of their broadsides, they produced a small handful of new publications for the fair, including new poems by Maria Demare (#5, “Catullus 101”), Amanda Earl (#6, “Trieste”), Jeff Blackman (#7, “Song for David Currie”), JM Francheteau (#8, “The Gelding”), Michelle Duquette (#9, “Hello, Nice to Meet You”) and Selina Boan (#10, “Litany”). to mouth. Abrade your fingers. Busy yourself with home. set to inaccurate frame after frame you bind hair to wool. Weave them into one another. A reinvention. Ready Mercy. We find our baby teeth. Look inside a black film canister. cherry marmalade and rambling chutney. You crumble chutney, remove citrus, dissolve to laughter. what kind of night am I to wish for? am I to wish for? There is nothing. There is your city. Right there, the streets out of sight. to the feet set going, the chief element of landscape. sways on an island with sounds. Things with seas. in the world like snow on the hill in the air. In his first trade poetry collection, Sign You Were Mistaken (Hadley, Massachusetts: Factory Hollow Press, 2013), Northampton, Massachusetts poet Seth Landman has constructed a series of dislocated lyrics, writing one line that does not necessarily follow the previous, and yet they blend together into something beyond the sums of their component parts. Landman’s is a surrealism based in statement and fact, composed out of a sequence of questions that sprinkle through the collection, such as in the poem “ZONE BY ZONE,” asking “Is the lie of the first part of life / apparent to the duration?” It’s as though Landman’s poems disconnect and connect in that space between the lines, somehow composing poems that exist almost entirely inside the mind of the reader, and nowhere near the page. Finally there is the map that continues larger than the folds and beyond shadows and hidden space. It is not enough to describe what is not yet rendered, as a brain fills in lines on the sky. It is not enough to lay the space out flat, to describe coastline as formula, as perfect math of impossible love. Home is oxygen: necessary, corrosive. When it feels terrible in the interior, maps call the outside into view. I pour over them for hours, never leaving my kitchen. Finally, I am unfamiliar with my own house. The routes possible from one spot to another increase geometrically. It is not enough to know inside that I might travel anywhere. Great forces are shifting us and there may be nothing we can do. Each day, if you are okay, if you can remain, you remain. Though you may be cold, you may be the cold water surrounding my continent.